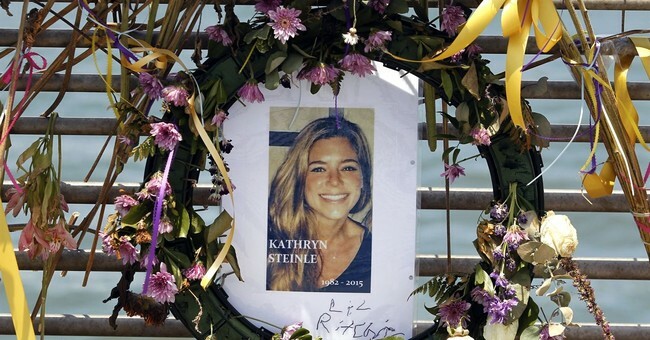 The murder of 32-year-old Kate Steinle sparked a fierce debate over illegal immigration in America. Steinle was shot and killed while walking on San Francisco's Pier 14. The shooter, Jose Ines Garcia-Zarate, had been deported five times and was wanted for a sixth deportation proceeding at the time of the shooting. He was charged with murder and illegal gun possession. Eventually, Garcia-Zarate was acquitted on the murder charge but was found guilty of illegal gun possession. He is now appealing the conviction. "Lawyers for Garcia-Zarate filed the expected appeal last week in state court. He contends he didn't know a gun was in his hands because it was wrapped in a T-shirt when it fired and he dropped it almost immediately after picking it up. He argues in court papers that he can't be convicted of illegal gun possession," the Associated Press reported. When the shooting took place back in July 2015, Garcia-Zarate had been released from prison just four months earlier. He served 46 months for felony re-entry into the United States. He had been deported back to Mexico five different times and was actually wanted on a sixth pending deportation proceeding at the time. Immigration officials had transferred him to San Francisco County Jail because of a local warrant alleging he had fled to avoid marijuana charges in 1995, but city prosecutors dropped that case, and the Sheriff’s Department then released Garcia Zarate despite a federal request to hold him for deportation. Then-Sheriff Ross Mirkarimi said he interpreted the city’s sanctuary policy, which limited local cooperation with immigration enforcement, as barring him from notifying federal agents. The handgun used in the Steinle killing had been stolen four days earlier from the car of a U.S. Bureau of Land Management ranger. It has not been established who stole the weapon. Prosecutors contended Garcia Zarate had brought the weapon to the site of the shooting, but his lawyers said it was wrapped in a T-shirt or cloth that he picked up from underneath a bench, unaware of its contents, and threw it in the bay after it unexpectedly went off. President Trump was disappointed with the acquittal so federal gun charges were filed against Garcia-Zarate. His attorneys are sticking with the argument that he's innocent if the gun was in his possession “for a momentary or transitory period." Garcia-Zarate's attorneys are asking for a retrial because Superior Court Judge Samuel Feng didn't tell the jury that "momentary possession" is not a gun crime. The fact that we're even having the semantics debate is not only sad but truly disgusting. And, even worse, San Francisco's sanctuary city status not only protected someone who broke the law multiple times but now they're shielding a murderer from ICE and other federal authorities. Liberal cities, like San Francisco, are more worried about protecting illegal aliens than they are about protecting legal citizens. It's a damn shame that victims, like Kate, are being revictimized all over again.